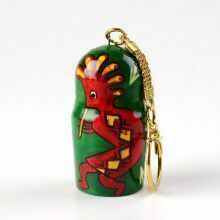 This handmade key-chain measures about 4 3/4" in total length and is made from carved birch wood. 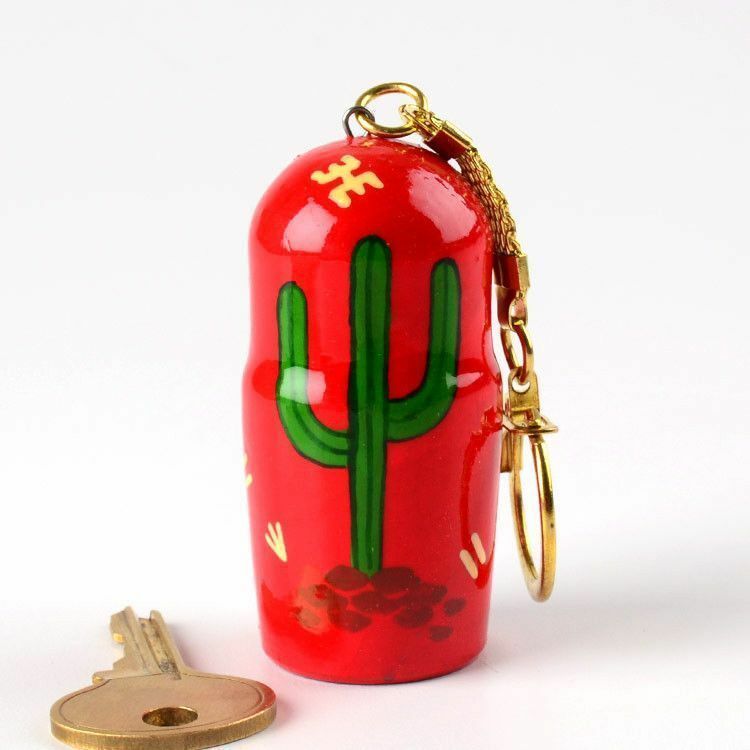 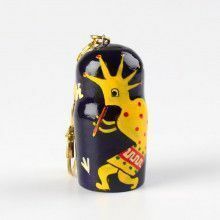 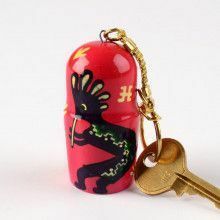 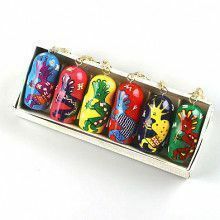 Russian artisans painted a kokopelli and a cactus on it specifically for our Southwest Collection. 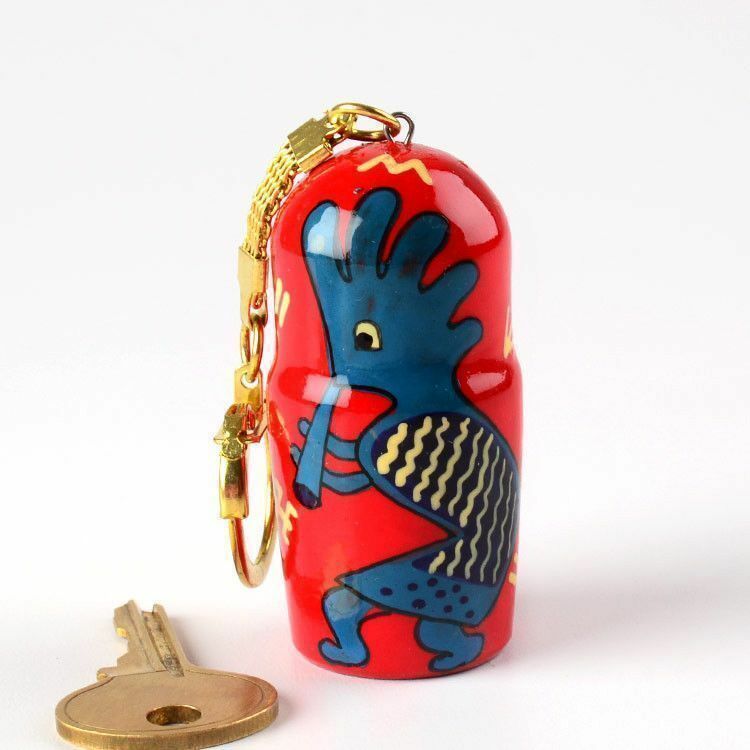 Liven up your keys today!